In the Twenties Narciso Delladio a young and promising craftsman, handcrafts wooden clogs and leather boots for lumberjacks and farmers of the Fassa and Fiemme valleys. A Milan’s Fiera Campionaria participation certificate dates back to 1928. After the Second World War, the demand for boots increases and the name of “Calzoleria Sportiva” becomes better known. In the Fifties his son Francesco begins to work for the Company. With far-sightedness they begin to build a new workshop in Tesero. 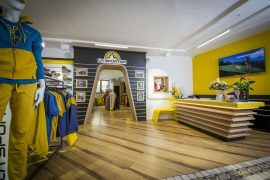 Francesco Delladio introduces the new brand name “LA SPORTIVA” and a complete winter and summer collection. 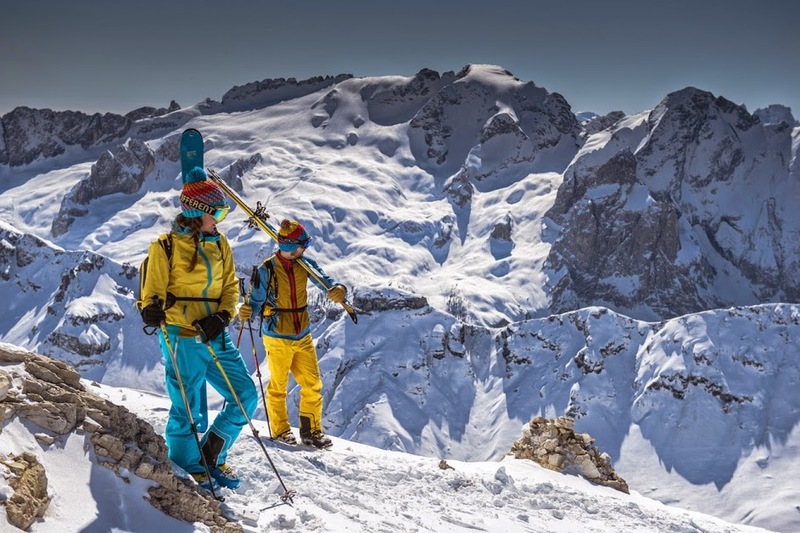 In the early Seventies the fundamental choice: La Sportiva decides to diversify production, targeting other growing sectors connected with mountains and the mountaineering world. At the beginning of the Eighties, the definitive turning point. The third Delladio generation, the sons of Francesco, Lorenzo and Marco, start to work in the organization. Free climbing opens new horizons, allowing La Sportiva to achieve great success. An extraordinary climbing shoe is designed, the Mariacher, the genesis of a long series of vanguard products, destined to write the story of this by now consolidated sportive discipline. The Company conquers new markets and expands abroad. La Sportiva climbing shoes are used by the world’s best specialists and appreciated by an always-larger number of consumers. In 1996 the Company moves to a new and modern facility of 7000 mq, in Ziano di Fiemme, in the heart of the Dolomites. The following years are recent history, in which La Sportiva makes a name for itself as the leader brand in climbing and mountaineering, with products that are the reference point of the world market. In 2003 La Sportiva became 75 years old. It is now a Company with a human dimension, certified, which partners technology, passion and respect for the environment. A reality that works at the highest quality standard to win new challenges and represents worthily the Italian tradition of footwear manufacturing technique.